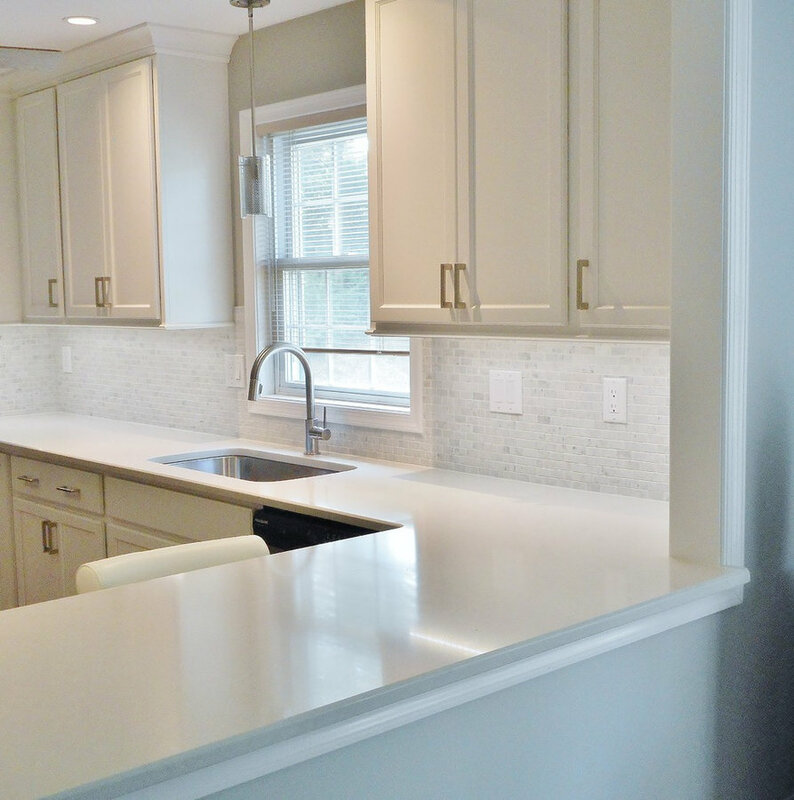 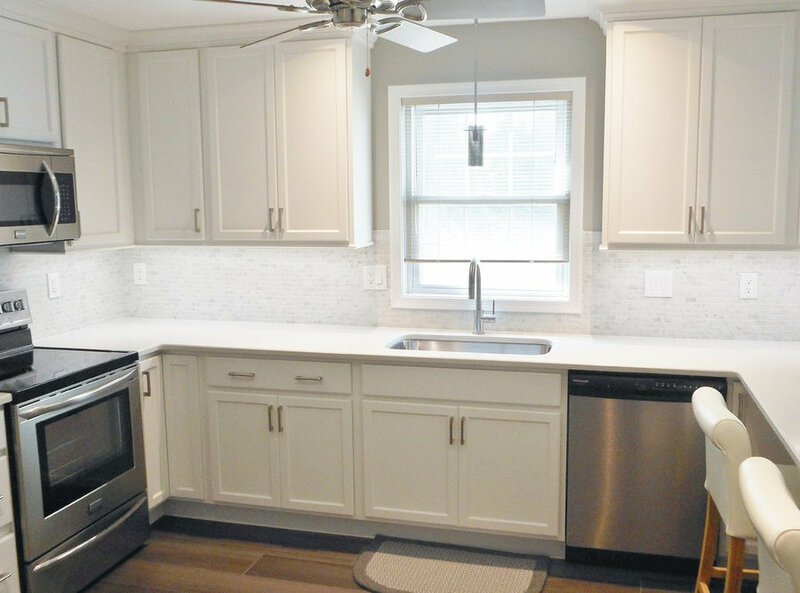 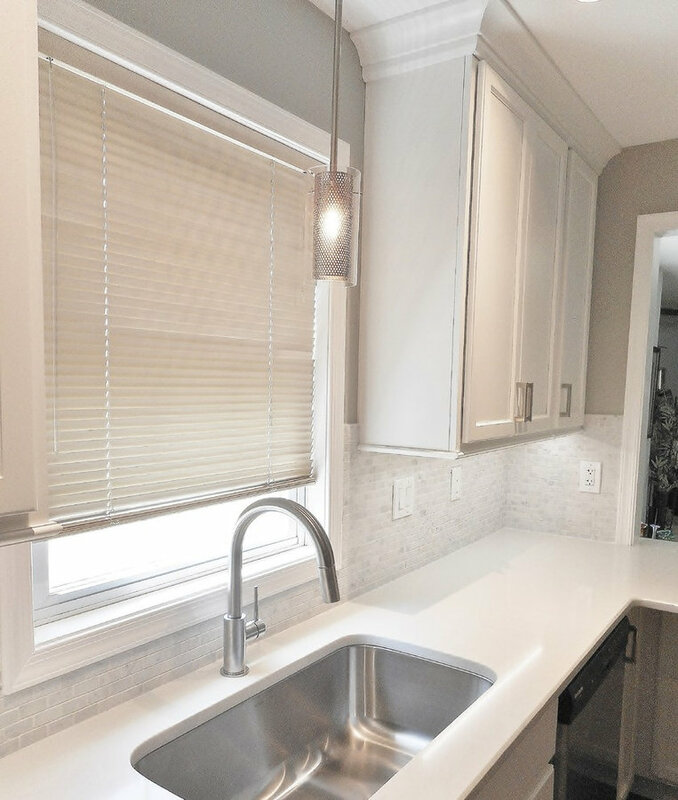 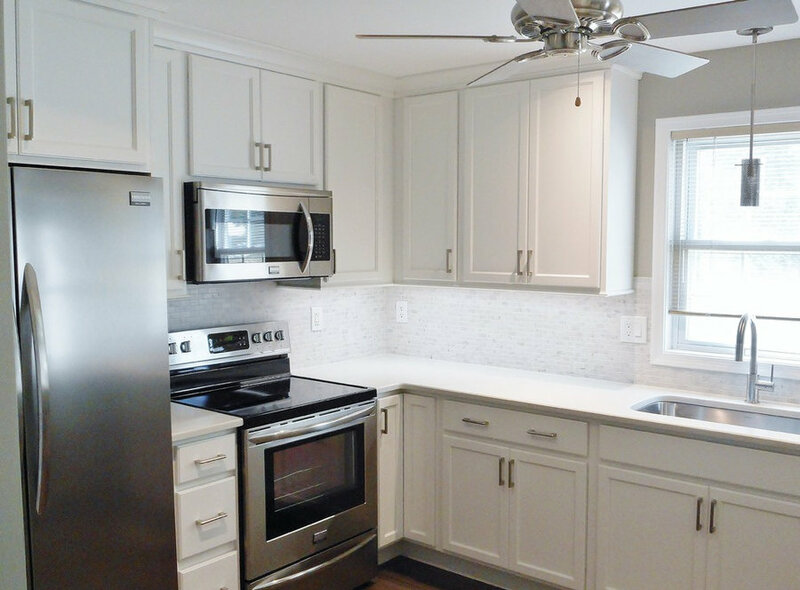 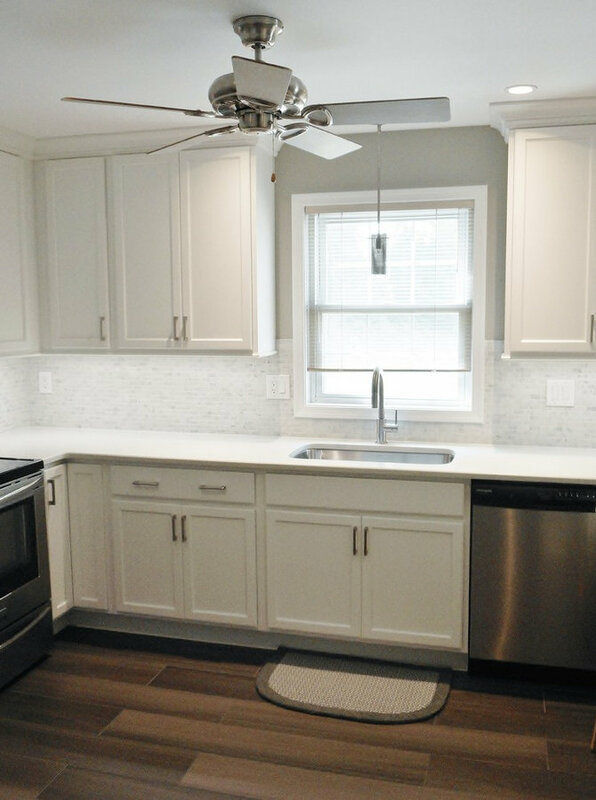 Transitional Bright and Light Kitchen: We used new takes on classic materials to make this light and bright kitchen appeal to both modern and traditional tastes. 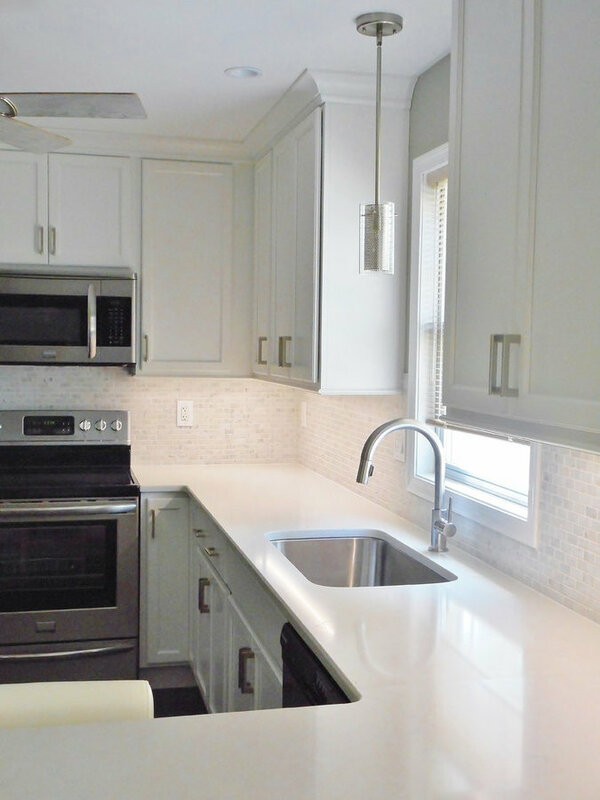 The kitchen was originally filled with builder grade materials, and had a poor lay out. 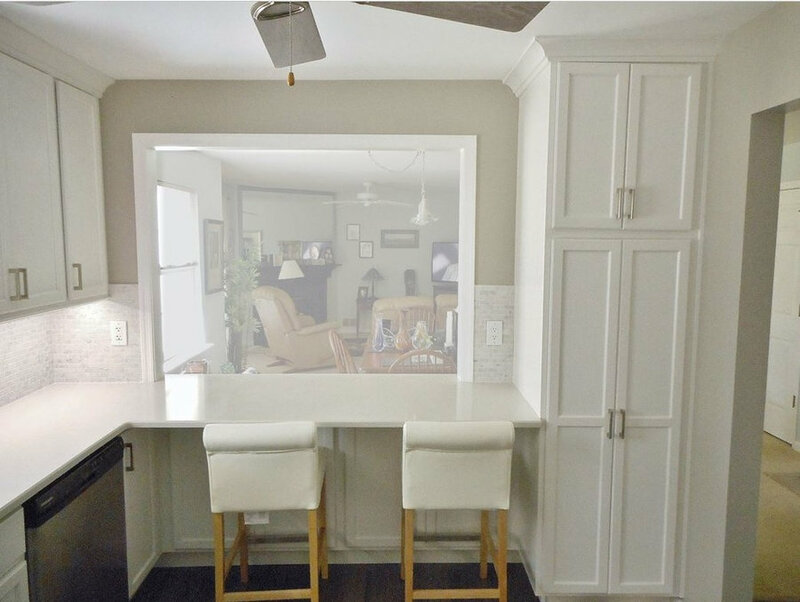 By making the kitchen U – Shaped, we gained more storage, and counter seating. 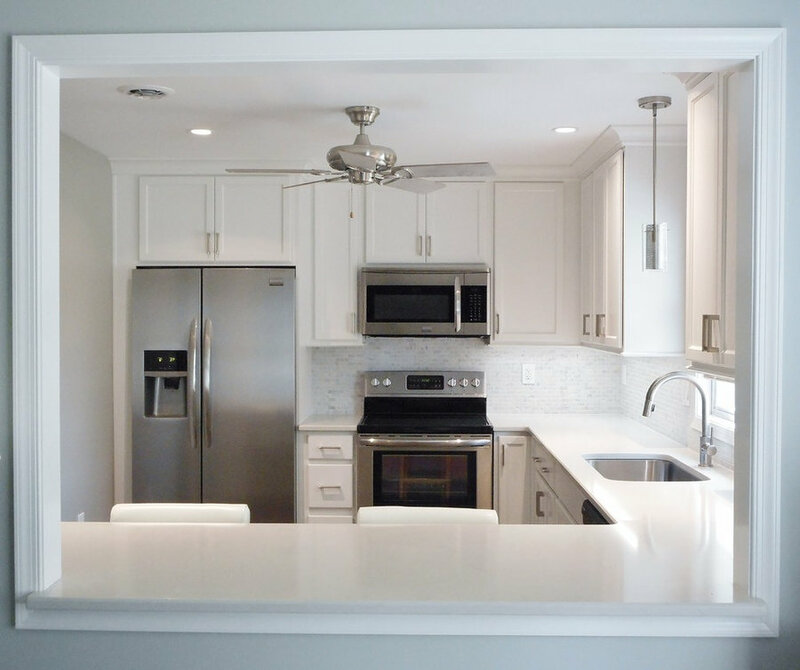 Opening the wall cut out was also a huge design improvement, and gives the kitchen a more open feel. 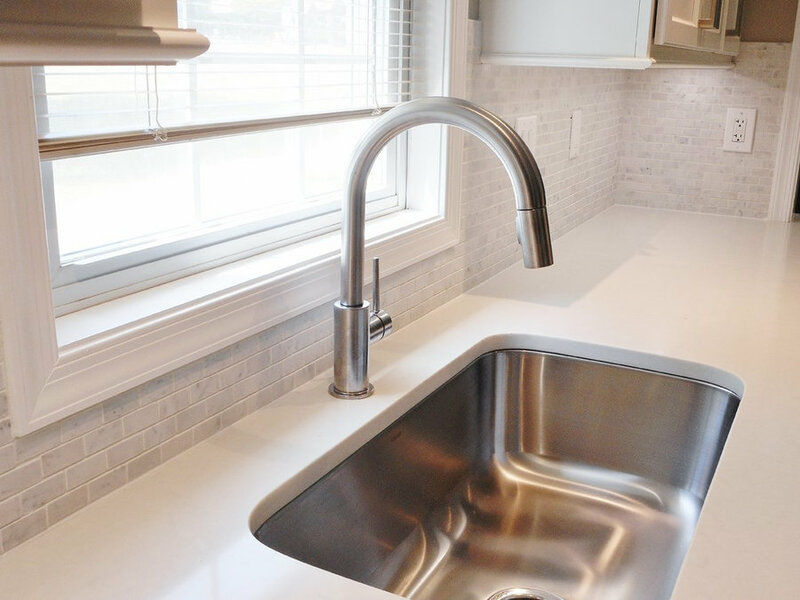 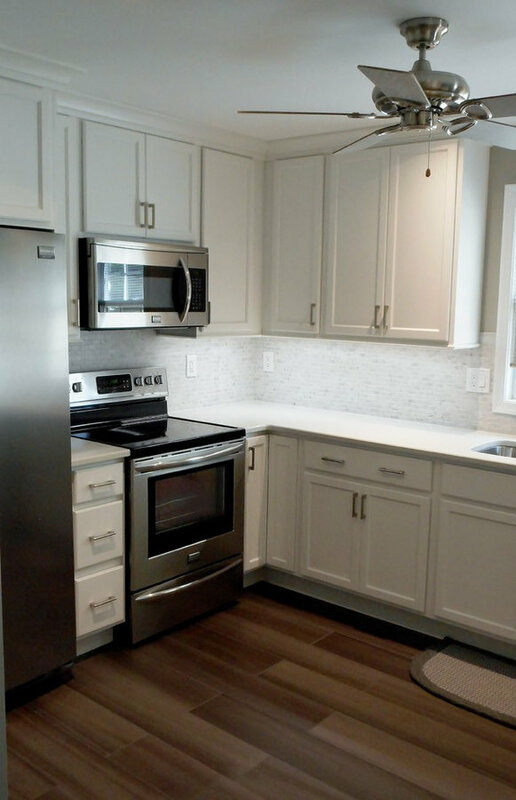 We used wood-look tile, quartz counter tops, shaker style cabinetry, and modern appliances and fixtures to achieve the look.